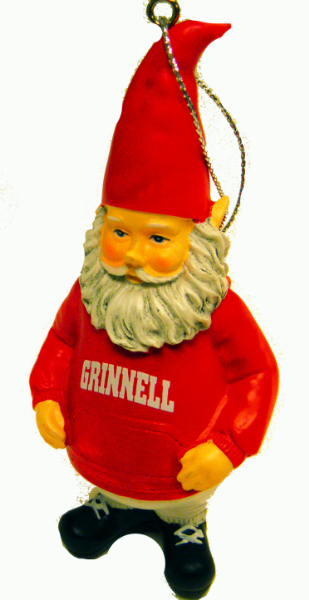 Gnome ornament with sliver metalic cord for hanging. Will also stand. 4.24" tall. Made from poly resin. Imported by Spirit Products.